ST. GEORGE — Police officers responding to a shoplifting call found that the only items stolen included baby formula, diapers, and related supplies for the suspect’s children. Officers discovered the man lost his job shortly before the incident and was struggling to feed his children. 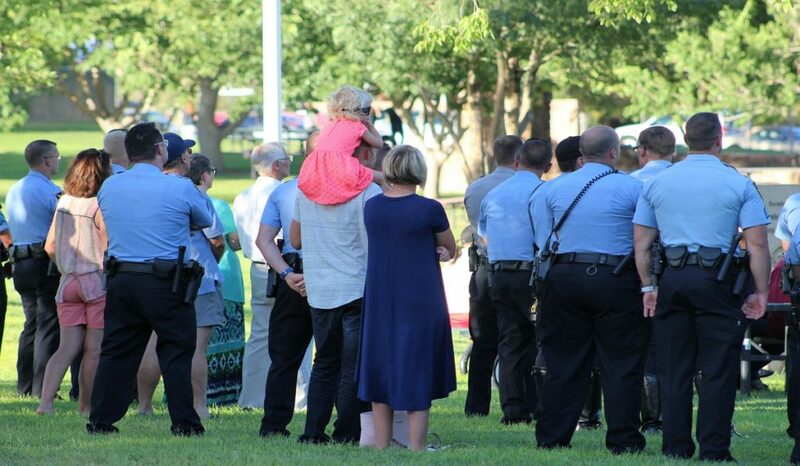 Those same officers went out and purchased baby formula, diapers and food to help the young family – out of their own pocket. 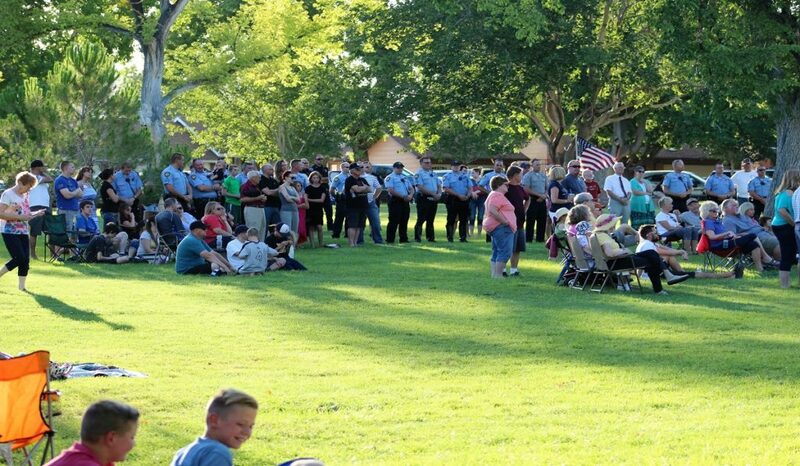 The story was told during an “Honor and Thank Law Enforcement” gathering at Vernon Worthen Park in St. George Sunday that brought together officers, firefighters, chiefs and the sheriff in their various capacities in Washington County. 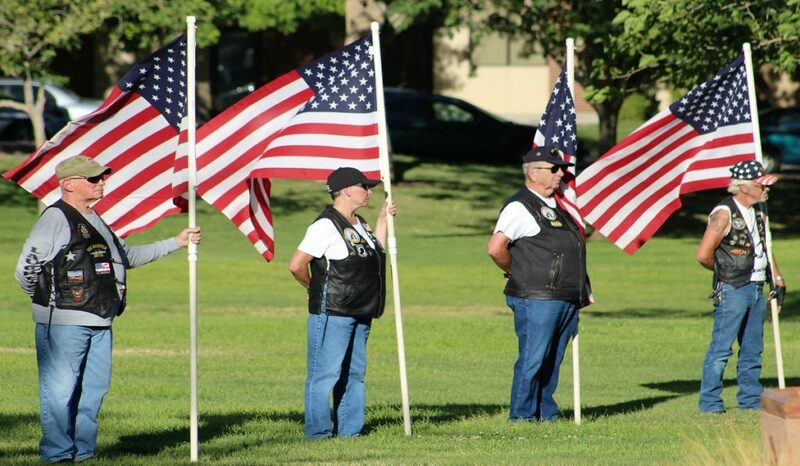 The event’s aim was to honor those who serve the citizens of Washington County every day and to honor those fallen over 1,100 miles away – in Dallas, Texas on July 7. The crowd was awash with blue. 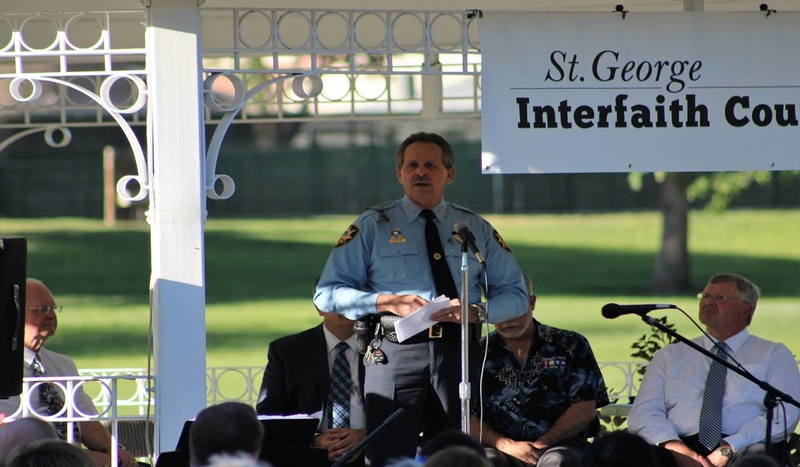 The gathering, called by St. George Interfaith Council, showed community support for police officers who continue to put their lives on the line for others, council representative Tim Martin said. 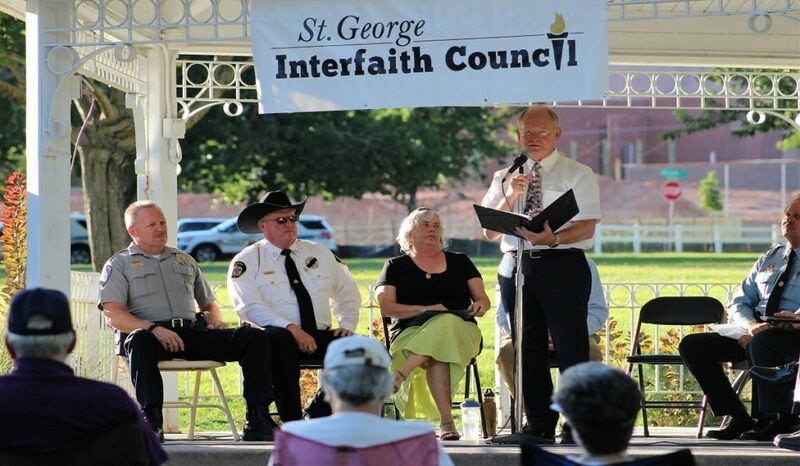 The Interfaith Council approached St. George Mayor Jon Pike early Saturday morning with their idea. 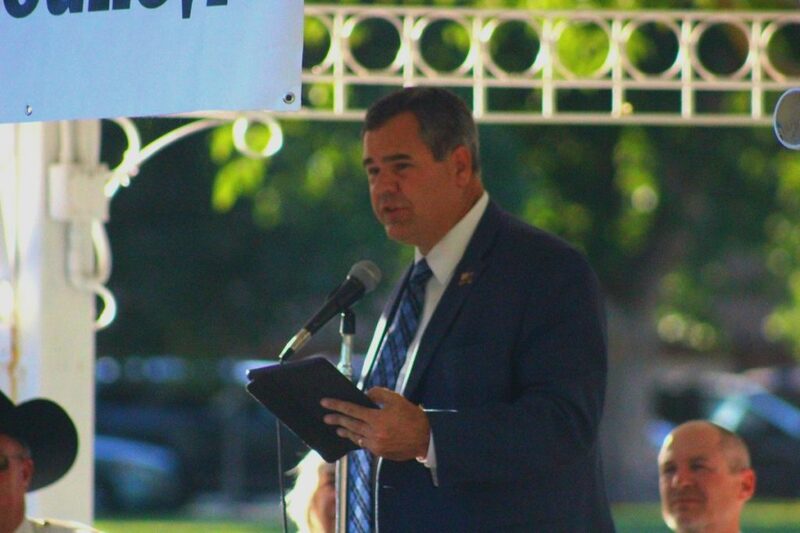 The council was the driving force behind the event, Pike said, commending the organization for recognizing the need to pull the community together. He was amazed how quickly it was organized, he said. 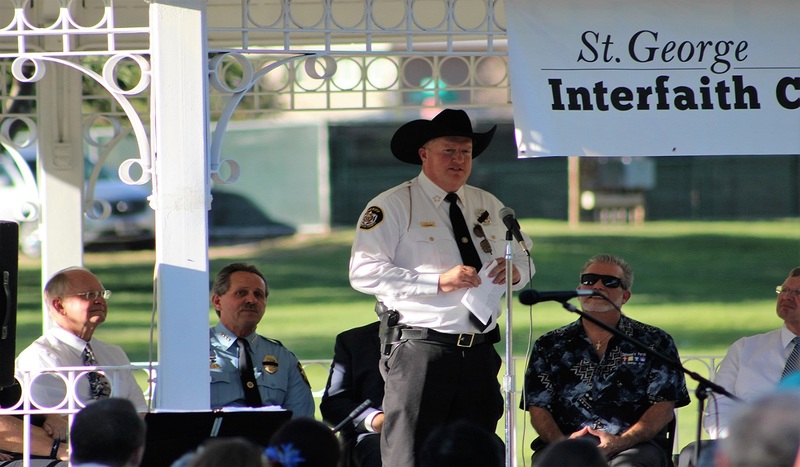 St. George Police Chief Marlon Stratton was grateful for the community gathering in the park, for its support of local law enforcement, he said, particularly during this difficult time. He said those serving in the fire departments, emergency services and the military deserve the support of a grateful community as well. The ramifications of the recent violence in Dallas have spread across the nation, Stratton said. For police officers in general the thought of being ambushed or shot is frightening and a very real threat that officers face. As news of the events in Dallas filtered into St. George many officers’ wives called their husbands at work and were very scared. 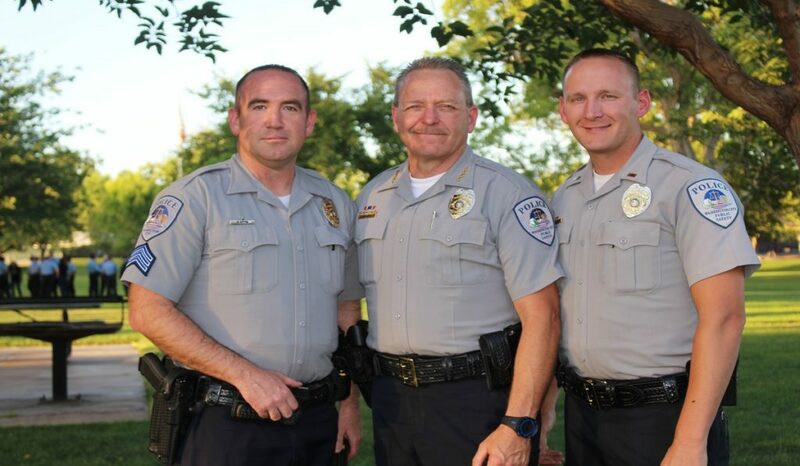 That commitment was illustrated by the story Stratton told of the two officers who helped the man suspected of shoplifting by purchasing baby formula and other items for his children. For Washington County Sheriff Cory Pulsipher, the event at the park was quite a surprise. He was helping at a youth camp near Kolob over the last week with no internet, radio or cell phone service. Pulsipher wasn’t even aware of the shootings in Dallas until he returned home, he said. 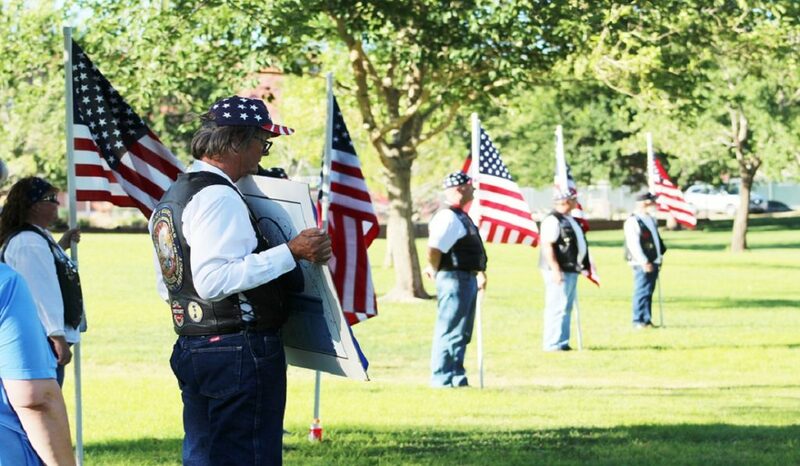 Once he was apprised of the details it was painful and much like a losing a family member. 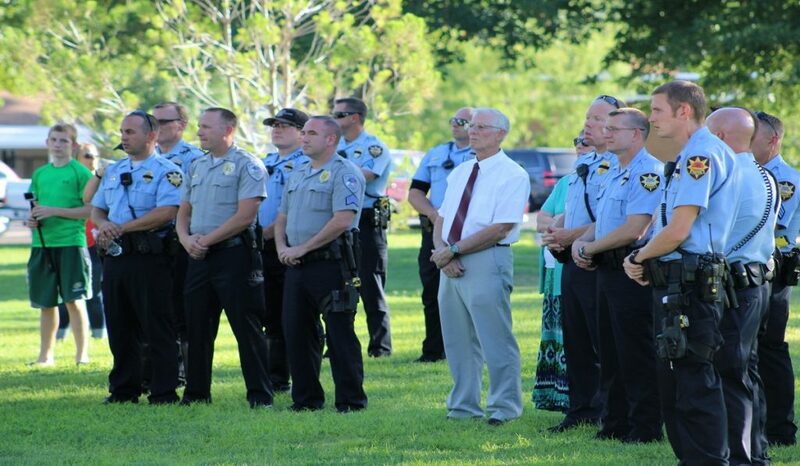 Washington City Police Chief Jim Keith attended the gathering, representing Washington City Police Department along with police Lt. Jason Williams and Sgt. Mike Sittre. Keith also summarized what is most important to them as police officers: To know they have the support of the community. 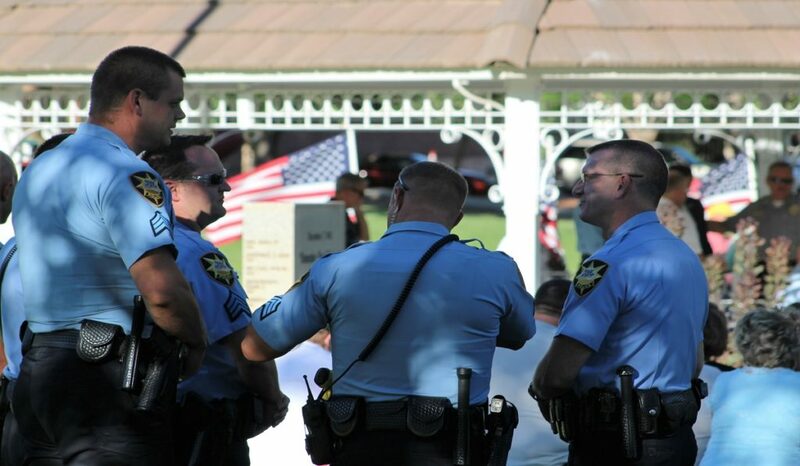 The events that have taken place across the country are cause for great concern, but our police officers will continue to bravely serve our community that we have sworn to protect. We will go out each day and do our best to protect our residents and visitors from those who commit crimes against others. 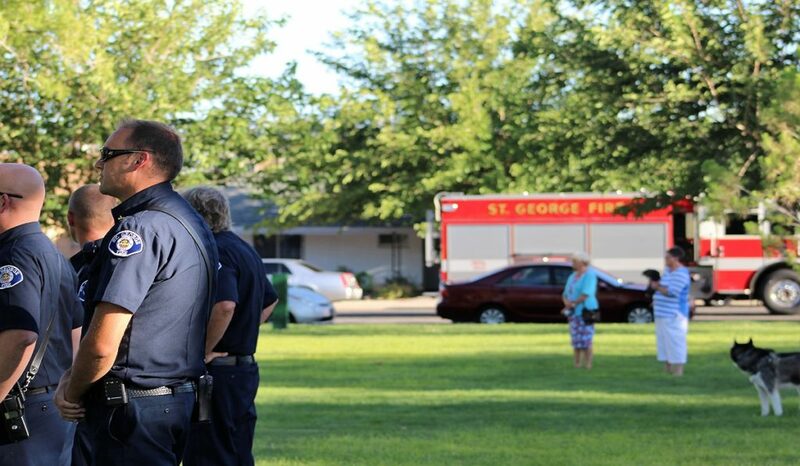 We will do our best to help the good people of St. George who count on us to keep them safe. 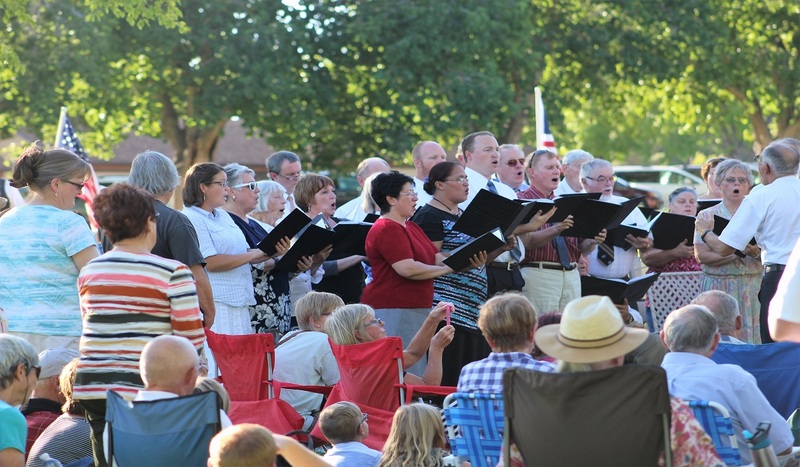 We will do our best to maintain the excellent quality of life that we are very fortunate to enjoy in St. George and of which we cannot take for granted. We will continue to do our job professionally by treating everyone with courtesy, dignity, and respect. 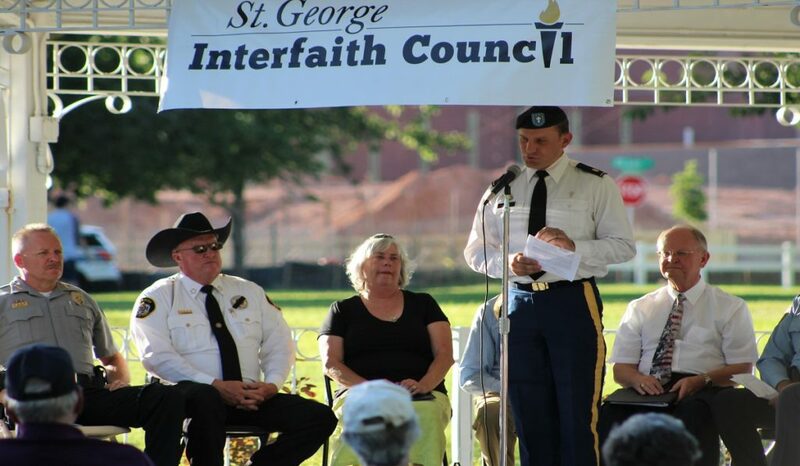 We will remain focused on our mission of working together with the residents of St. George to preserve life, maintain human rights, protect property and promote individual responsibility and community commitment. Our thoughts and prayers are with the men and women of the Dallas Police Department and their families during these difficult times. 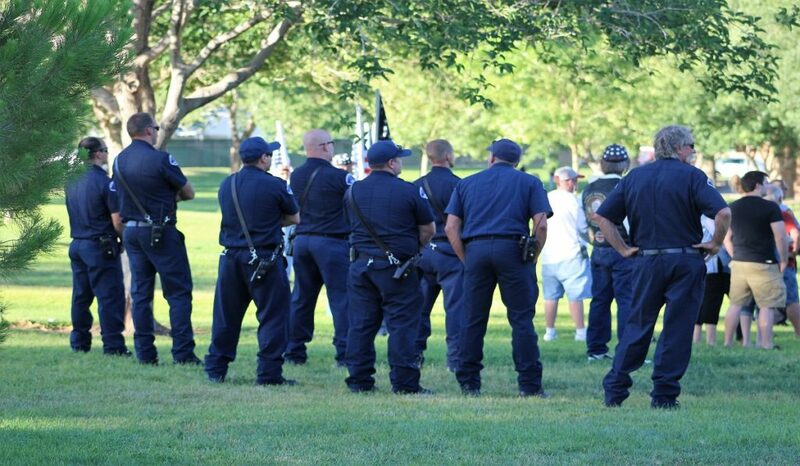 God bless our policemen, keeping our communities safe due to their selfless service.